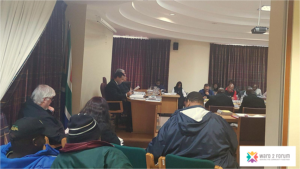 At the Theewaterskloof Municipal Council Meeting held yesterday (29th May 2018) the Budget for the 2018/19 and outer years 2020/21 was adopted. The Ward 2 Forum has obtained a copy of the full document (538 pg) which will be studied before comment is made. Our customary précis “Comment Document” will be prepared for publication and circulation to our members. In the interim, hereto attached, is the Executive Mayors Budget Speech. Rather scathing in parts toward some of those that have given objective comment. In sections the tone of the speech is concerning and, in our view, reflects the condescending attitude which has in the past marred and soured many relationships with stakeholder, rate payers and business owners alike. The statements made by the Executive Mayor will be challenged and evidence to the contrary sought. Next Next post: What can we do to protect ourselves and to prevent fires at home?